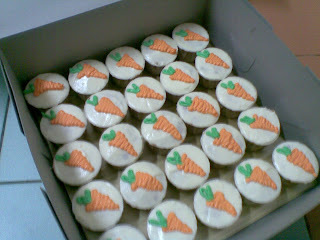 These were ordered by Sally from MMU...the one on top is for her daughter- moist choc,...and the one at the bottom is for her anniversary celebration- carrot craze. 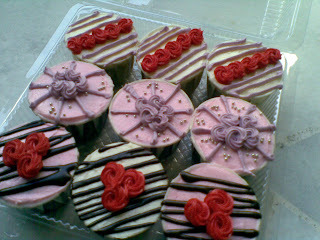 The cuppies are a mix of double choc and moist choc. 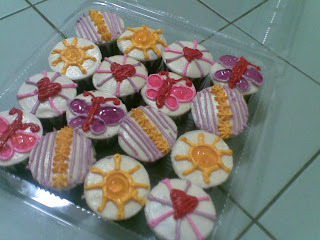 The 1.5kg Moist Choc in the top right corner was ordered by Ms. Aidawaty from MMU..another repeat customer. 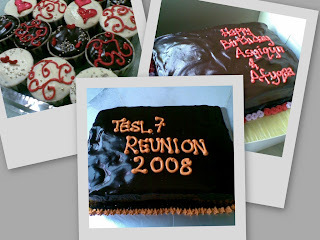 The 1.5kg Moist Choc was made for the TESL7 Reunion held at PJ Hilton on 23 August 2008. 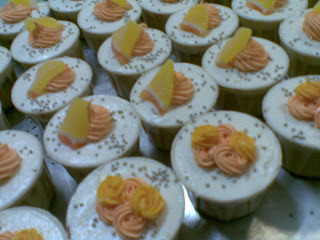 2 sets of Tangy Orange Cuppies ordered by Ms. Alia. 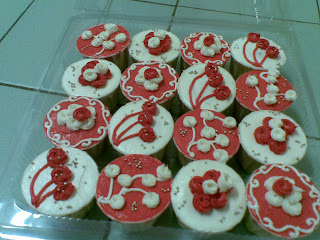 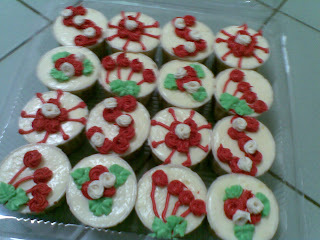 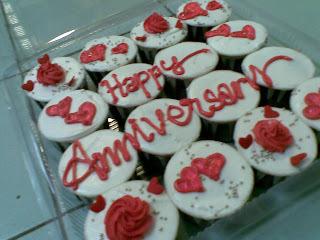 1 set of Pure Vanilla and 1 set of Vanilla with Strawberry filling...ordered by Ms. Sarena. 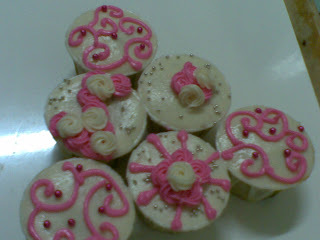 Hmmm....pic not so clear huh? 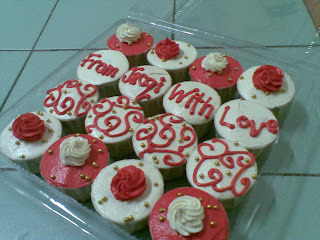 Anyway...this was ordered by Ms. Sasha for her faculty lunch. 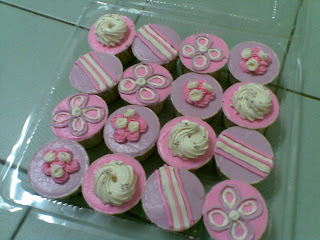 She ordered 2 sets. 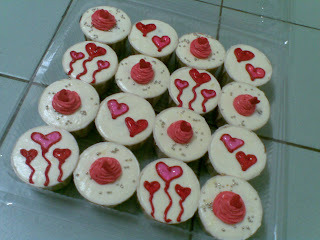 Moist choc cuppies...ordered by Ms. Syikin from KFH. 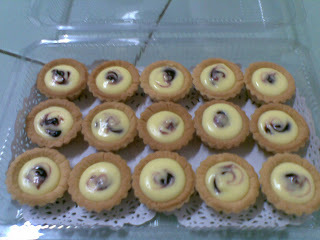 Mini Blueberry Cheese tartlets...ordered by KFH for their corporate training. 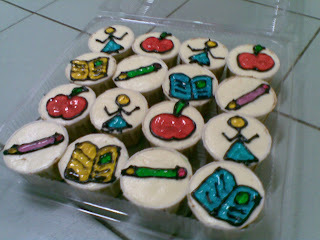 Another order from Sally....Shopaholic and School theme!! 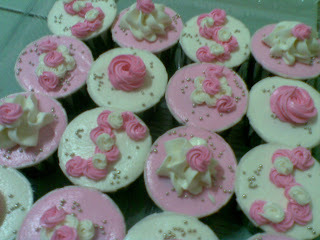 Moist choc and Pure Vanilla....one for the hubby...and one for the kids...ordered by Ms. Hani. 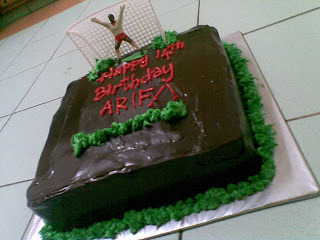 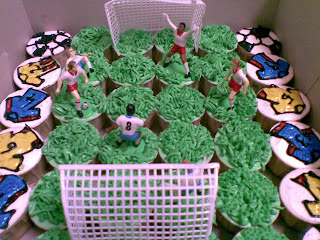 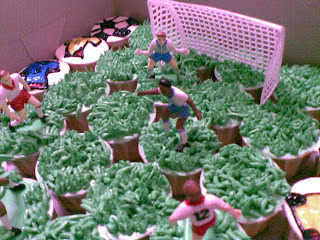 This 2kg Moist Choc with simple football theme was ordered by Ms. Sarah from Kiara View. 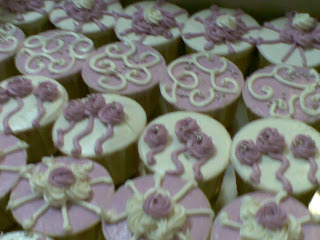 She also ordered a 2kg Carrot Cake. 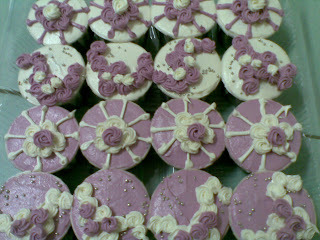 This simple lilac and white combination was ordered by Ms. Hamimi from Putrajaya. 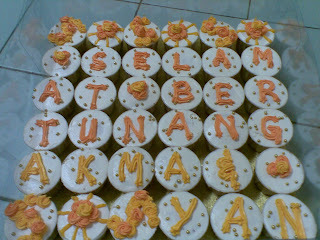 Take care and thanks for all your support!! 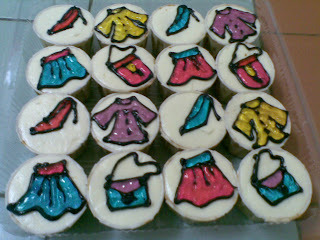 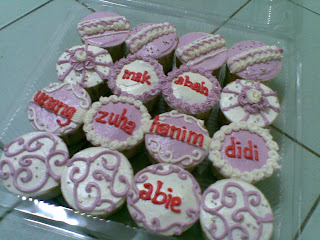 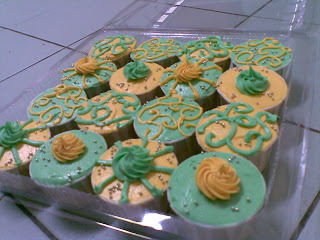 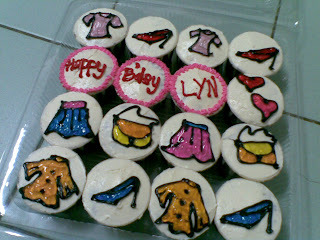 i'm rahidah.. i'm eliz's friend..
i'm amaze with the cupcakes very much... ade bukak cawangan kat JB? 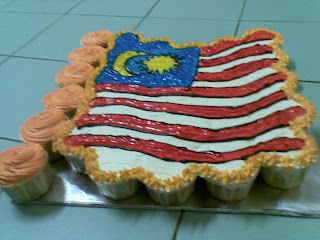 mcm mana nak hantar sini kalau i tempah?